Indonesia furniture is so well known all over the world. It does so because the design of the furniture from Indonesia is so chic and the price are not really expensive. A lot of furniture manufacturers in Indonesia even have sold their products to all over the world. The furniture manufacturer itself could be found easily in almost every area in Indonesia and every place has its own speciality and uniqueness on the characteristic of furniture they make. Since Indonesia is a country with wide forest and has big commodity on plants and wood, thus the main leading furniture created and liked widely is those which are made from wood, wicker and rattan. 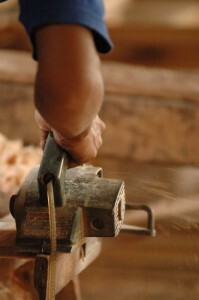 For the wood furniture, many manufacturers in Indonesia rely mainly on teak. It does so because Indonesia’s teak has been proven to be one of the world best teaks and furniture which is made from teak shows its durability in any condition. Besides that wicker furniture and rattan furniture are one of the biggest Indonesia’s export commodities for furniture. Indonesia’s craftsmen are very creative in making that furniture from wicker or rattan so that many people out there love Indonesia’s furniture products so much. This condition has growth the furniture industry and at the same time it has created the emergence of new more furniture manufacturer options.